Another example of Arash’s ability to get outlier, record setting results in righteous cases. Yesterday, we obtained a $30 million jury verdict for the wrongful death of a beautiful young girl in Ventura County (an ultra conservative jurisdiction and with Spanish speaking parent Plaintiffs.) Defendant Trucking Company and its Insurance company refused to pay our repeated demands for their $1 million in policy limits. On September 4, 2018 and after a 5 day trial, a Fresno Jury found that Defendants who operated a large outdoor market and swap meet were legally responsible for the death of a vendor who mistakenly contacted an energized power line on Defendants’ property with his advertising banner/flag. Despite repeated attempts to settle the case below policy limits, Defendants’ insurance carrier refused to offer anything more than $700,000. Defendants’ attorneys argued that everyone knows power lines are dangerous, that the hazard was "open and obvious", that they never had anyone use an advertising banner/flag as tall as Plaintiff’s, and that the incident was 100% the fault of the Plaintiff and her husband. We won by reframing the case and demonstrating that this tragic event was an accident waiting to happen. It was Defendants that created a highly dangerous condition. Defendants put approximately 20 (out of 800) vendor spaces directly underneath high voltage lines knowing vendors were using tall advertising banners to visually compete with the other 500 vendors. We were able to cross-examine the defense experts into agreeing that this tragedy was foreseeable and preventable in that Defendants could have simply blocked off the 20 spaces under the unprotected high voltage lines. We also demonstrated that Defendants knew or should have known that vendors were using tall advertising banners, with a photograph of a long standing vendor with a 34 foot tall flag. We obtained what some consider to be a very high damage award but we think is a fair amount for our client’s devastating lifetime loss and mental harm. Even though the Plaintiff’s husband died that day, we were effectively able to bring him to life for the jurors so that they could see and feel through Plaintiff the beauty of this man - beaming, smiling, and shining love. Imagine having (as the lucky significant other) that energy in your life every day how awesome life would be? Now imagine what it would be to have that snatched from you with no warning, you are forced to watch him die and will forever have that event seared into your mind. Such a shame. . . and the insurance company didn’t value the case like we did. This tragic case involved a fatal vehicle vs. motorcycle left turn accident at the intersection of Exposition Blvd. and Bundy Dr. in West Los Angeles. Investigating officers assigned fault with the 16 year old left turning driver. Our amazing co-counsel Karen Gajewski and Ed Baughan determined that left turns were to be prohibited at this intersection as a result of Metro Line construction. Even the officers missed that there were supposed to be 3 no left turn/u-turn signs with 2 elevated on the N/W and N/E light poles and 1 in the median. The sign in the median was missing. Imagery used at trial to demonstrate signage being present and absent. The Homampour Law Firm handled this case through trial and convinced a jury that the construction company, Skanska-Rados Expo 2 Joint Venture, was responsible and that decedent did nothing wrong. The jury awarded $10 million in wrongful death general damages to Plaintiffs (the wife and mother of decedent) and apportioned 55% against the construction company. In April, 2017 Attorneys Arash Homampour and Armine Safarian settled an Auto versus Truck | Wrongful Death case for $2.8 million against the Defendant. On Dec. 6, 2013, the Plaintiff and her husband were traveling southbound on US 93 when they attempted to pass a truck driven by the Defendant which was owned by the Defendant's employer. After entering the northbound lane, the Plaintiffs collided head on with another Plaintiff, who was traveling northbound on US 93. Two of the Plaintiffs sustained fatal injuries. The other Plaintiff sustained serious injuries. Plaintiffs contended that the Defendant would not allow them to pass his truck and was playing a dangerous cat and mouse game with the Plaintiffs, who in turn became frightened and tried to pass his truck to get away from the Defendant. Plaintiffs contended that the Defendant, as a professional truck driver, knew that motorists would be afraid to travel near his truck, that he could pull over and let them pass and that the Plaintiffs were attempting to pass him for miles. 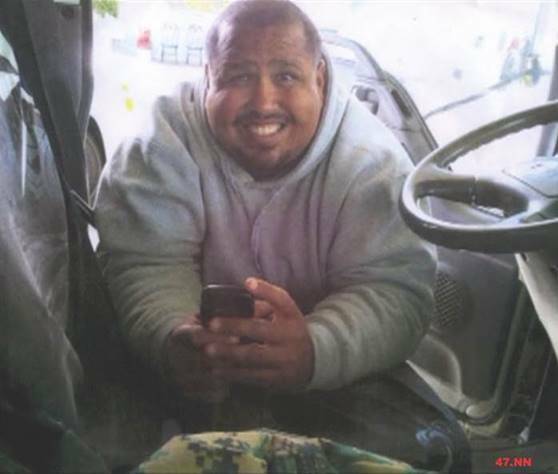 Although he admitted that he witnessed the deadly head on collision to his left, the Defendant did not stay at the scene and did not preserve evidence relating to his driving contained in the truck's event data recorder. Plaintiffs alleged that the Defendant's employer was liable for the actions of the Defendant and that it failed to preserve evidence. Defendants contended the Plaintiffs were the sole cause of the incident when they decided to illegally enter the northbound lane into oncoming traffic. Defendants claimed they were not involved in the incident because the Plaintiff vehicle never made contact with Defendants' truck. The surviving Plaintiff suffered a concussion that resolved, orthopedic injuries, emotional distress, and loss of consortium due to her husband's death. The Plaintiff's children suffered the loss of their father. The Homampour team were able to settle with the Defendants for $2.8 million. Although this allowed the Homampour team to secure a sizable figure for the Plaintiffs, it can not replace the loss of a husband and father.